Have you ever thought about what having a wood floor really means? What is the difference between engineered wood and laminate? What if it looks like wood, yet is actually stone? One thing is for sure: today’s wood floors aren’t what your parents installed in their homes a generation ago. In many cases, when people say hardwood, they mean a solid hardwood flooring that has stood the test of time for generations. Durable and beautiful, hardwood provides a timeless appeal that can keep your floors looking their best for years. Hardwood comes in a wide range of grains and colors, depending on the species of wood you select and how it was cut. 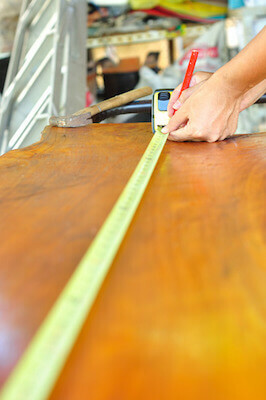 If you are installing hardwood, be sure to ask for hardwood that is grown from sustainably grown and harvested trees. An engineered wood floor consists of a real-wood veneer layered with a lower-grade wood base. Some laminates are made up of a similar base topped with a photograph of an attractive wood grain pattern. An engineered wood floor can be sanded down to remove damaged areas a few times, depending on the quality of the wood. Laminate can repair small nicks and scratches using filler, but sanding is out of the question. Both will have a much shorter lifespan than their real wood counterparts. Many people are turning to more sustainable options for their floors. With that in mind, it’s difficult not to consider bamboo and cork. Bamboo looks so much like wood you’ll have trouble believing it’s not hardwood. Bamboo floors have a rich natural glow similar to hardwood and it compares favorably to maple or oak. Cork is an up and coming flooring option that is naturally moisture-resistant, warm underfoot, and is terrific at buffering noise and impact in the home. Either choice can give you beauty with long-lasting results. Nothing compares with the durability of stone. And with today’s technology, you’ll find stone that has the appearance of real wood flooring. It comes in a variety of colors, styles and patterns. And because it makes it possible to add radiant heating throughout your home, it’s a perfect choice to add warmth as well as beauty throughout your living space. What’s the perfect wood choice for your home?